A suite of products in the colour RAL 7010, tarpaulin grey were fitted. “The colour is very close to the Farrow & Ball colour ‘Railings’ which was used on the woodwork,” said homeowner and DIYer Shaun Mirams. 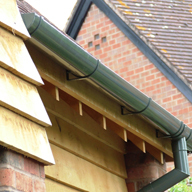 The products used by Sean include aluminium fascia, soffit, Moulded Ogee guttering and Traditional Round Downpipe. Fascia has been fitted behind the gutter to the building’s eaves to provide a decorative waterproofing. 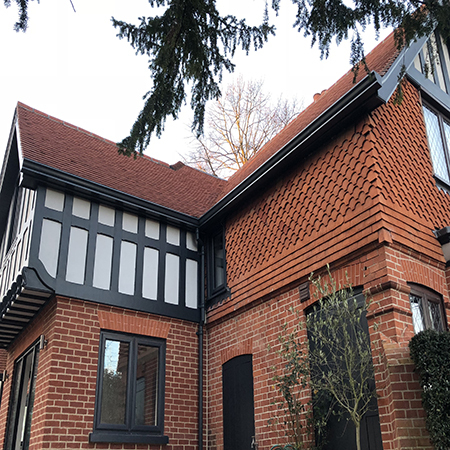 The Moulded Ogee gutters, sometimes referred to as ‘Type 46’ are inspired by nineteenth century cast iron gutters, providing the traditional look, but giving all of the benefits of aluminium, including being lightweight, environmentally friendly and easy to install and maintain. 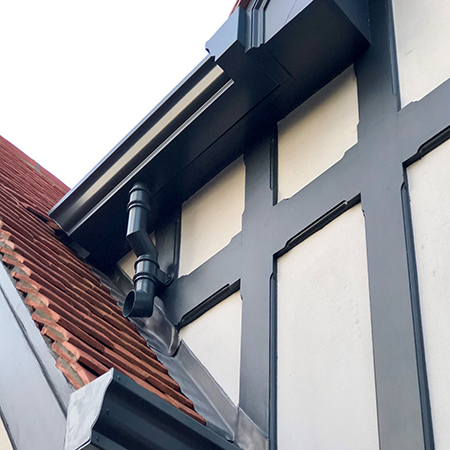 Continuing with the heritage theme, 75mm traditional round downpipe has been installed alongside the gutters. Complete with authentic styled collars inspired by the designs of the nineteenth century drainpipes. 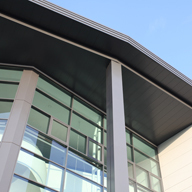 The property has been finished with Guttercrest’s aluminium fascia and soffit which has been fitted around the eaves of the building. 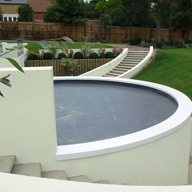 Guttercrest is a UK manufacturer of high quality aluminium rainwater goods and aluminium eaves systems with designs for all period, heritage, traditional, modern and contemporary properties.